Click the marker on the map below to get driving directions from your location. The Clovis Rodeo Grounds are located at 748 Rodeo Drive, behind Clark Intermediate School. For all the latest rodeo news visit the Clovis Rodeo's media partners! Copyright © 2015 Clovis Rodeo Association. All Rights Reserved. The contents of this site are the copyrighted property of the Clovis Rodeo Association. 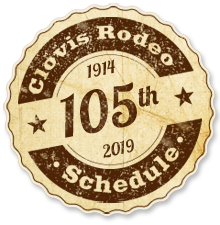 Reproduction of any part of this site or the information contained herein without the express written consent of the Clovis Rodeo Association is strictly prohibited. The phrase "Clovis Rodeo" and the Clovis Rodeo Last Weekend in April logo are registered servicemarks of the Clovis Rodeo Association. Use of these marks without the express written consent of the Clovis Rodeo Association is strictly prohibited.